The optimist in me hopes you’re all on the passion side. 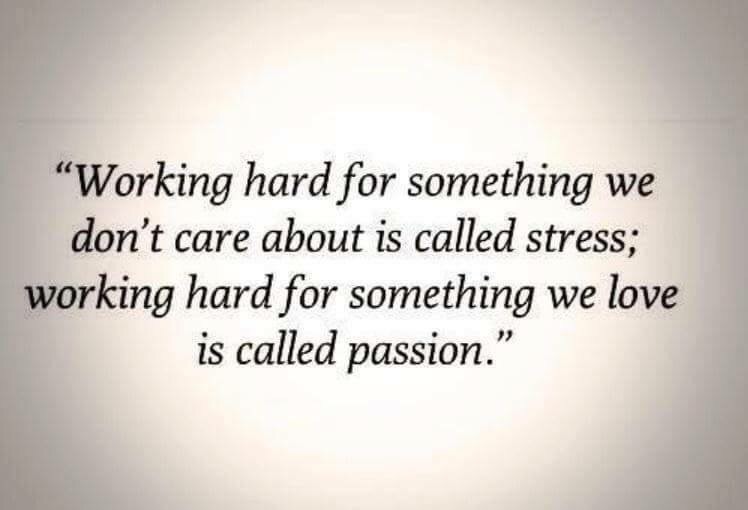 The realist hopes you at least have some of the passion side, and only a moderate amount of the stress side. Ignore what everyone else needs, what’s practical, and what’s coming tomorrow. Set it aside and think long and hard about what makes you feel alive. Only once you’ve found it should you worry about how to make it work. It won’t be easy, but you will make it work because it will bring you joy that far outweighs the difficulty of making it happen. Passion is a fire that burns deep in you; its light shines through your eyes and the warmth of it emanates from you in every interaction.